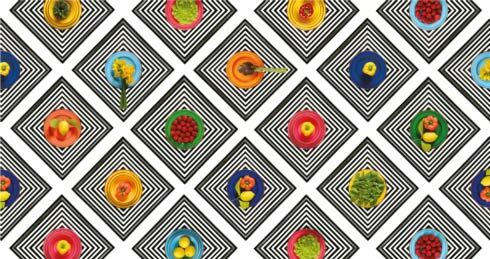 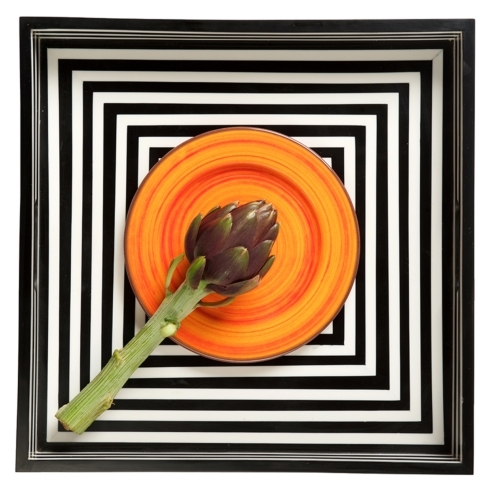 St. Tropez Dinnerware from Mario Luca Giusti. 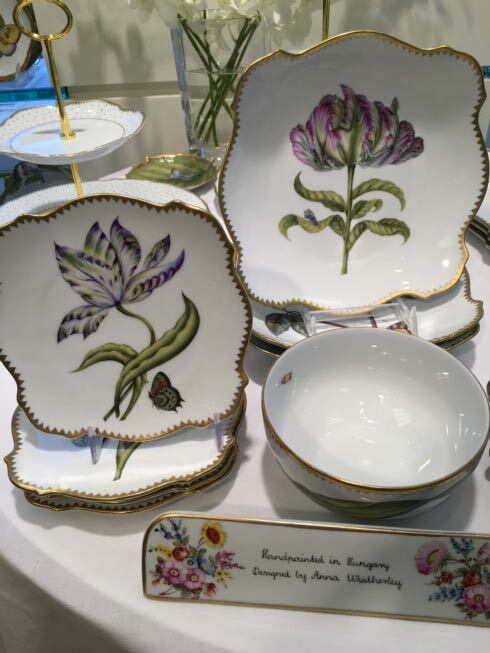 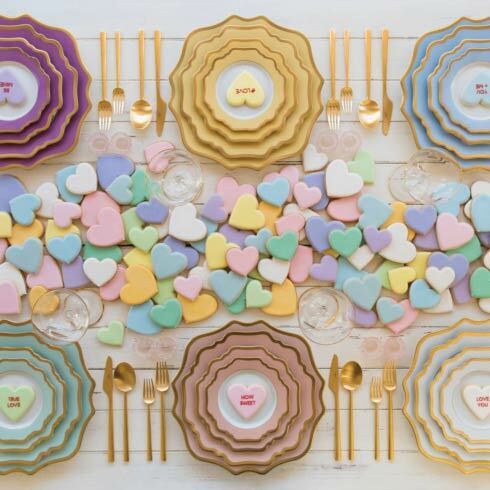 The collection is available in a dinner plate, dessert plate and cereal bowl. 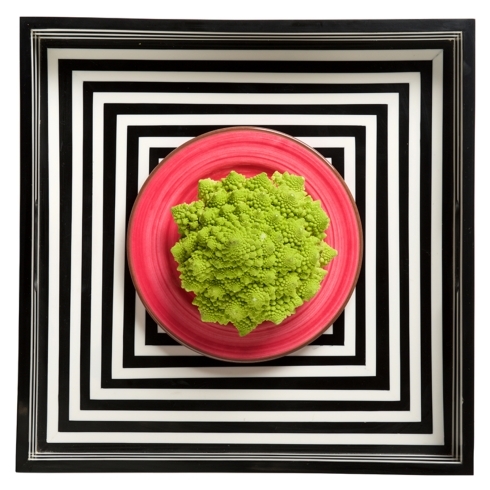 Also each item is available in the following colors: yellow, blue, green, orange, fuchsia, and turquoise. 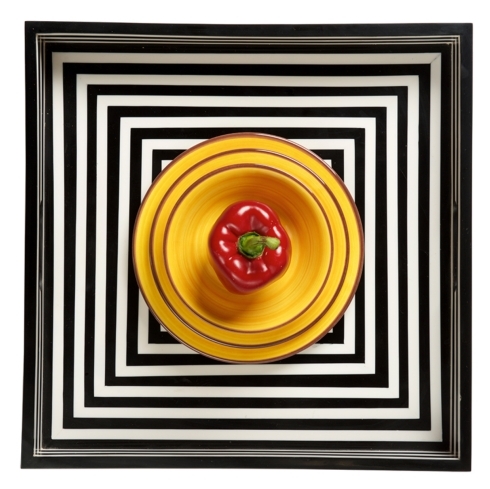 New from Royal Crown Derby is Oscillate Ochre and Onyx. 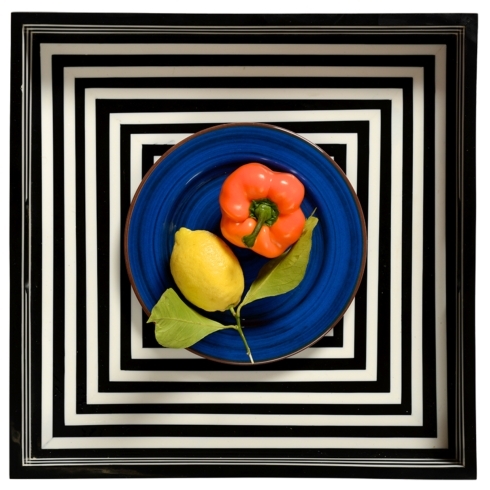 Both patterns are designed to be mixed together if desired. 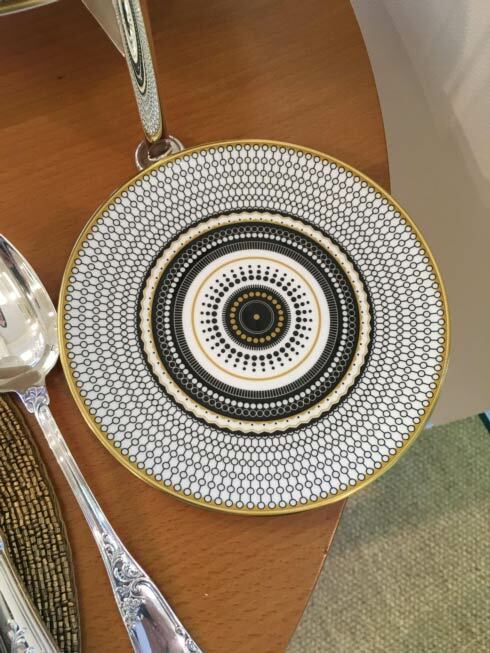 The pattern is inspired by architectural detail, mechanics and the atomic attractions that bind materials together. 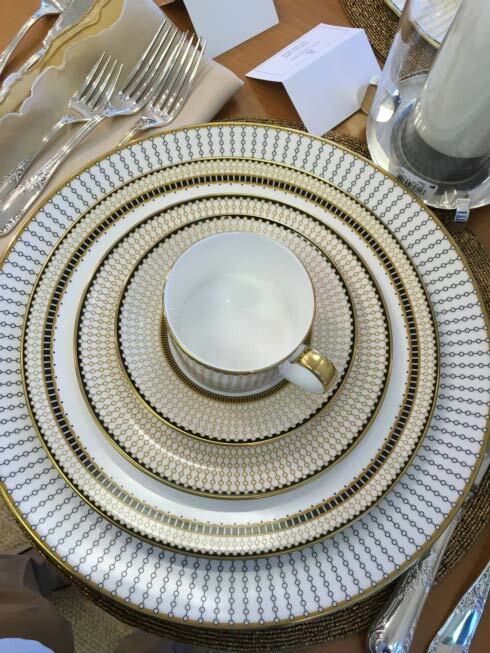 The Oscillate tableware collection features a surface mesh design that complements the fine bone china forms it adorns. 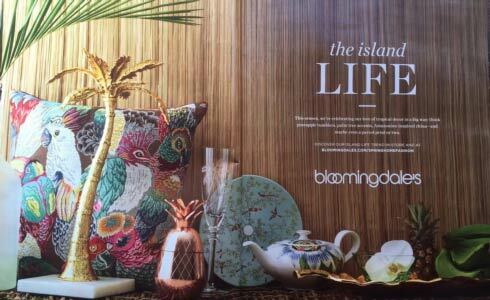 Wall Street Journal Bloomingdale's Advertisement featuring Raynaud Paradis Turquoise! 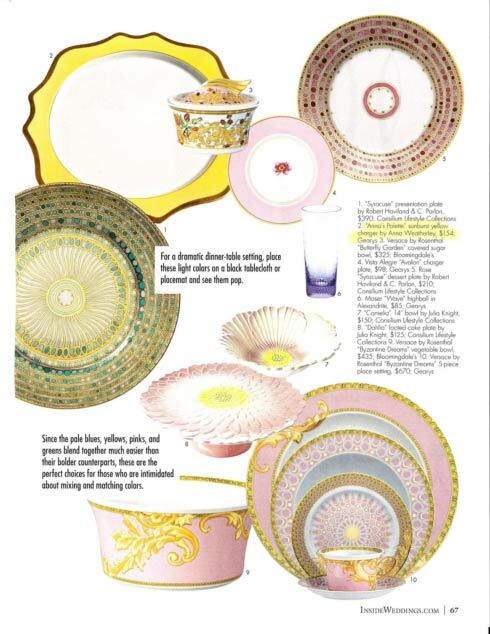 Inside Weddings Magazine Spring 2016 featuring Anna Weatherley's Sunburst Yellow Charger! 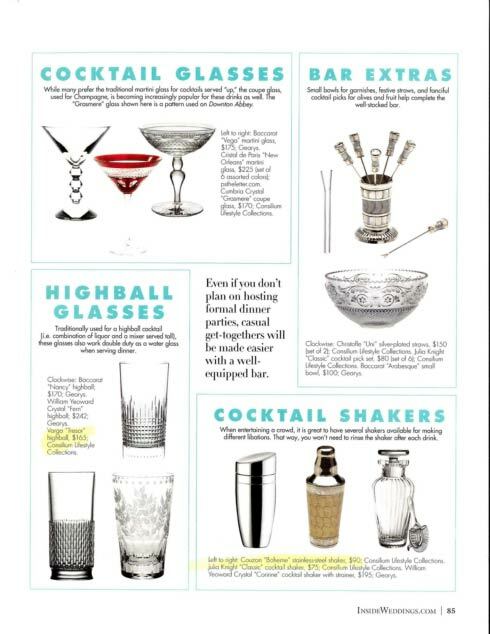 Inside Weddings Magazine Spring 2016 featuring Couzon's Boheme Shaker! 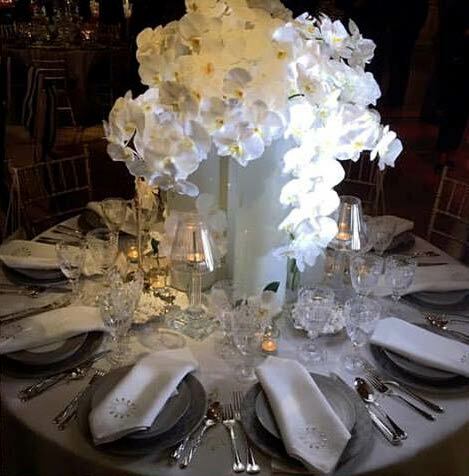 J.L Coquet Hemisphere Platinum dinnerware being displayed at the Orchid Dinner at the Plaza! 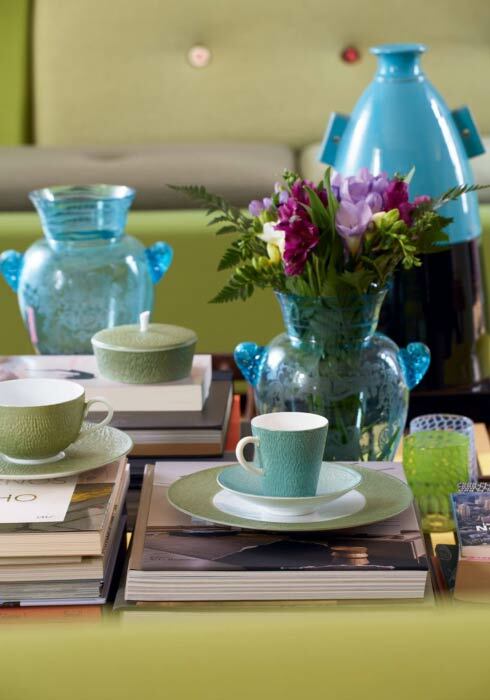 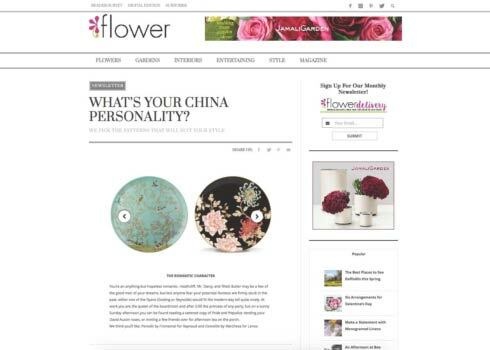 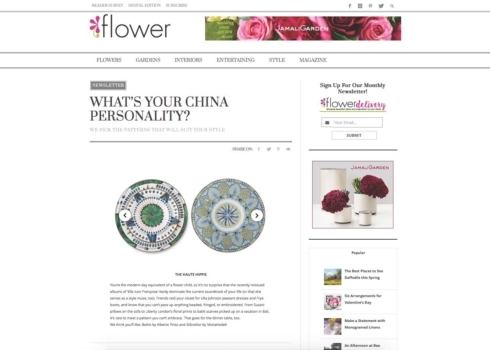 Flower Magazine's "What is your China Personality" featuring Raynaud Paradis Turquoise platter and Alberto Pinto Bahia buffet, dinner, dessert and bread and butter!